Every Dallas homeowner knows how difficult it is to properly clean tile. Even ordinary scrubbing, which often results in sore knees, lower back pain and kinks in your neck, can’t really get the job done. 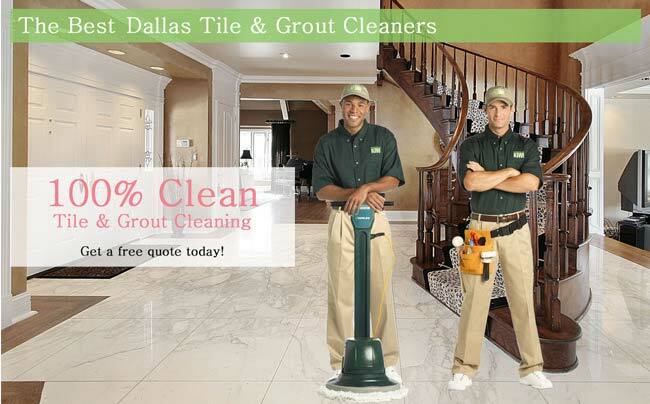 Why put yourself through all of that when Dallas’ premier tile and grout cleaning company is just a phone call away? KIWI has 30 years of experience cleaning and maintaining tile floors such as bathroom and kitchen tile. No matter what type of material your floor is made from, including ceramic, stone and porcelain, our expert technicians know how to provide in-depth deep cleaning that keeps them looking fresh and new. KIWI’s technicians can clean floors and clean tile back to perfection with our brush to scrub cleaning method and cleaning process that will have your floors looking high quality and like new. 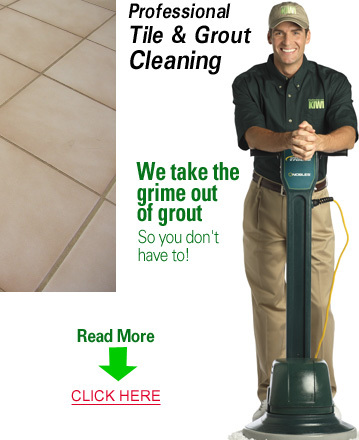 We can remove dirt and grime, provide grout cleaning with our grout cleaning process that can refresh grout lines, cleaning and sealing services which allow you to get your floor sealed. Our cleaning solutions and cleaning service give the best professional cleaning results. We also offer sealer for grout and stone that enhances its performance and appearance. Using unique, people-friendly cleansers. Our cleansers help eliminate dirt and degrease heavily soiled areas. Using buffers and bonnets. Our buffers and bonnets actually lift dirt, dust and debris from your floor. Ordinary tile and grout cleaning methods often grind particles into your floor and move them around, but ours actually remove contaminants to restore shine and luster. Using specialized cleaning machines. The machines our technicians use are designed specifically for grout and tile, and they can penetrate even deeply set stains. We work with mountain-born tile, such as slate, marble and travertine; we also clean limestone, sandstone and granite. Man-made tiles, such as terracotta, Saltillo and porcelain or ceramic are no problem, either. Whether your tile has a natural finish or has been honed and polished, we’re happy to make it look like new again. There’s no need to walk on tile floors that are imbued with dirt and debris. Call our Dallas tile and grout cleaning experts at 972-354-0300 and we’ll send someone out to give you a free estimate at your earliest convenience. We also offer the best in customer service, free estimates, and commercial cleanings for your business needs.